Changing rules will make it a central element of stormwater management. Why does green infrastructure make good business sense in private-sector projects? Two experts explain why in a new video produced by New Jersey Future. 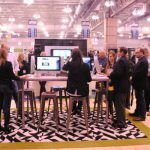 George Vallone, founder and chief executive officer of Hoboken Brownstone Company, and Jeromie Lange, engineer and senior principal at Maser Consulting, make several convincing arguments about the business sense and overall return on the investment in green infrastructure and debunk myths you may have heard. 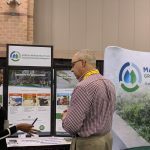 One of the video’s major takeaways: A paradigm shift is happening, driven not only by new thinking about stormwater management best practices, but also by the marketplace.. 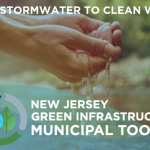 The New Jersey Department of Environmental Protection proposed significant changes to the state’s stormwater management rules (NJAC 7:8) to make green infrastructure a required strategy to manage stormwater and, with corresponding updates to the state’s stormwater Best Management Practices Manual, to provide appropriate “credit” for its infiltration properties. When adopted and implemented, this change in the rules will bring fundamental changes to the way public- and private-sector stormwater management systems are designed, constructed and maintained. Education and training for decision-makers and practitioners will be imperative. Until the rules change, however, green infrastructure can and should still be incorporated into projects, and the Developers’ Green Infrastructure Guide explains how. 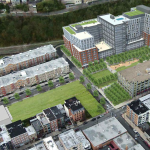 The guide is a product of a partnership between New Jersey Future and the New Jersey Builders Association, makes the case for green infrastructure for private-sector development projects and includes case studies, information on costs and benefits, and more. View the guide online or download the PDF here. 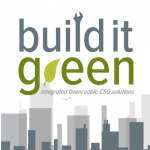 Do you have a question about private-sector green infrastructure that you think we should look into? Let us know (kperry njfuture org) .